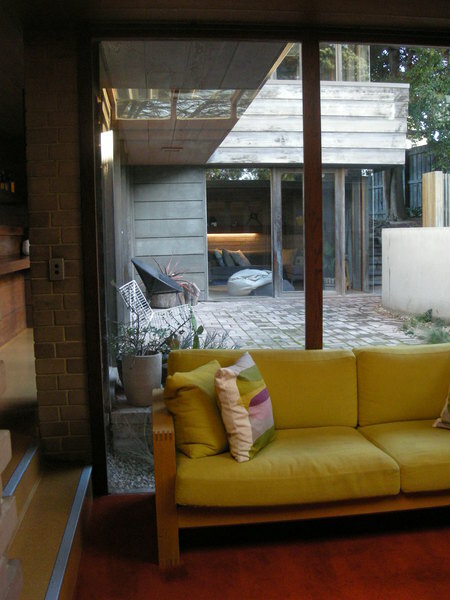 The David Godsell House, including the exterior and interiors of the residence including the 1966 studio and the 1972 upper storey addition; the street boundary brick walls and other exterior brick walls; landscape elements and other features; and fixtures attached to the building including the wall and ceiling linings, light fittings, copper rainwater head, built-in furniture, cupboards, cabinets and shelves. 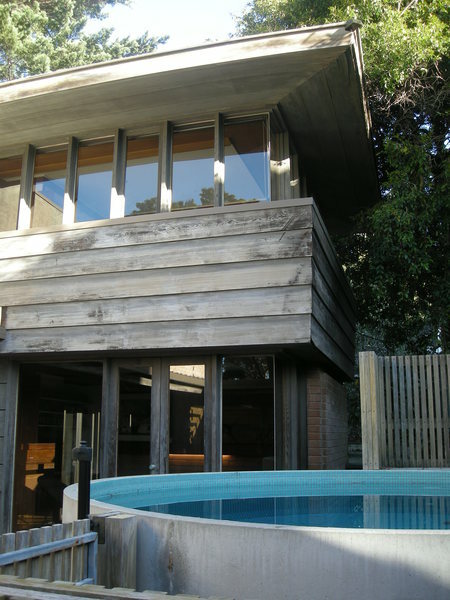 The cylindrical concrete pool, associated timber steps, decking, battened safety fence and gate at the central courtyard's western edge have no cultural heritage significance. David Godsell and his wife Ursula ('Terry') Godsell purchased the 491 Balcombe Road site in November 1956. 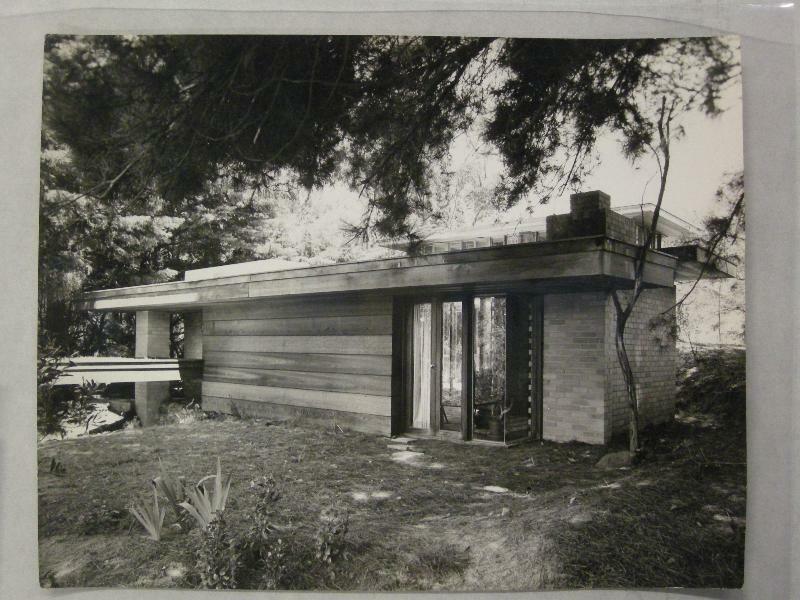 The David Godsell House is the realisation of a design for himself and his family upon this site and was documented by Godsell during the first half of 1960. The majority of the present-day house was constructed between mid-1960 and the early months of 1961. 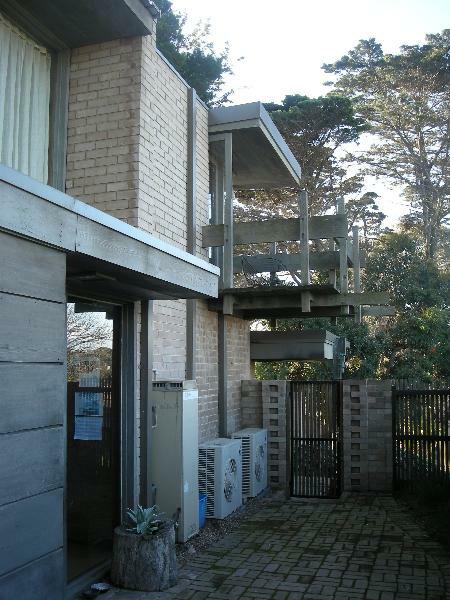 Small spaces also designed by David Godsell were added to the house during the Godsell family's occupation of the house in subsequent years - a home-office (studio) in c.1966, laundry adjacent to the kitchen in c.1970, and an additional upper-storey bathroom and bedroom in c.1972. 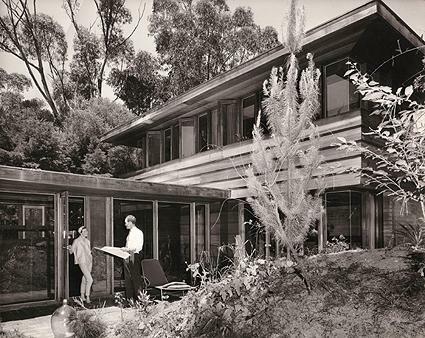 Prior to his death in 1986, David Godsell conducted his architectural practice from the studio at 491 Balcombe Road. Terry Godsell continued to live in the house until its 2008 sale to the current owners. 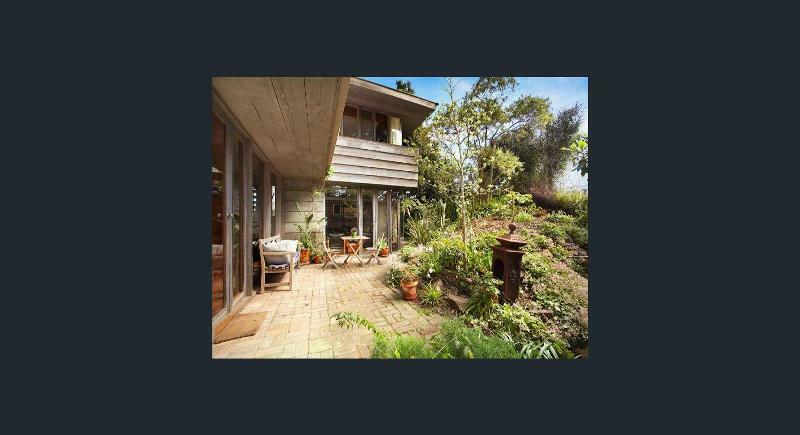 Very little change has occurred to the house since that time, apart from the addition of an outdoor timber decking area to the north of the living room, and a cylindrical concrete plunge pool and associated timber steps, decking, safety fence and gate to the central courtyard's western edge. The David Godsell House is a freestanding single-family dwelling sited centrally within a roughly rectangular 935 sq.m (0.23 acre) block of land. 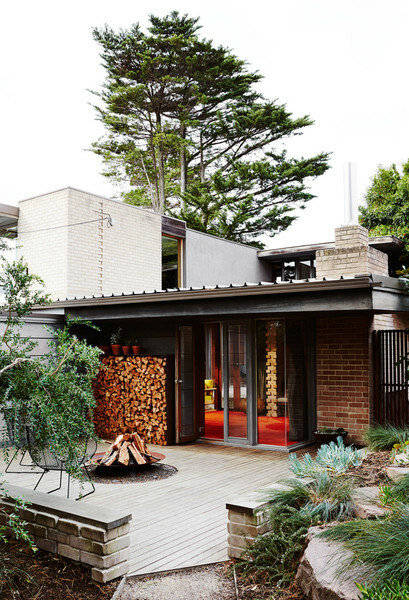 Its external walls are predominantly of Californian Redwood cladding boards and fawn-coloured face brickwork. The house is a careful composition of rectilinear flat-roofed wings, three of which face inwards towards a sheltered courtyard. 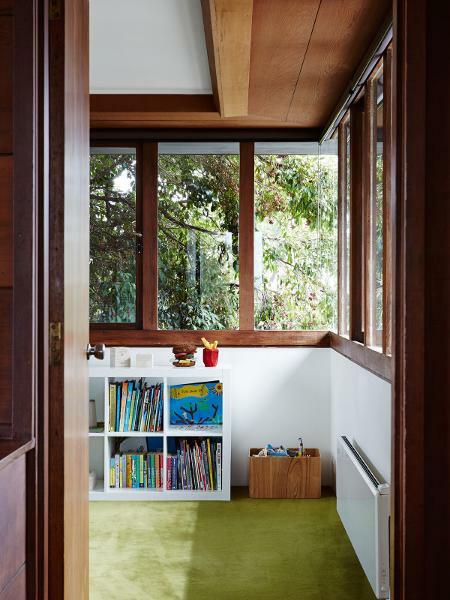 The 12-inch Californian Redwood boards which clad the house also feature prominently in its interiors. The living room features a large linear skylight of timber-framed topaz panes of glass, the western end of which terminates in a junction with the house's face brick chimney. The corners and edges of this chimney - and of other panels of brickwork in the house - feature toothed and recessed bricks in alternate courses, creating richly textured surfaces. Joints between panes of window glass at the external corners of rooms, and between the horizontal and vertical glass along the living room skylight's northern edge, have been mitred and glued with great care. 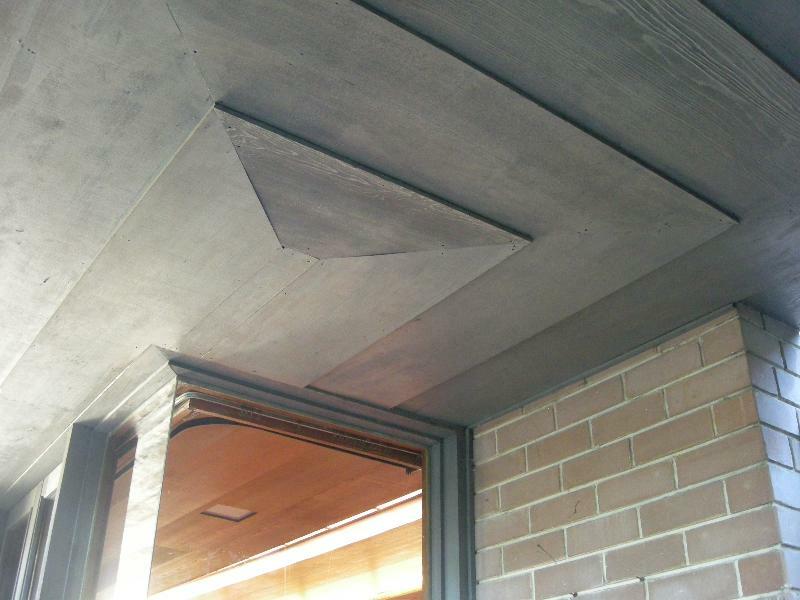 Soffits of the carport and entry roofs - and the wide eaves of other roofs - are lined with the same 12-inch Californian Redwood boards used on the house's external and internal wall surfaces, subtly vertically stepped and also mitred at the corner junctions. 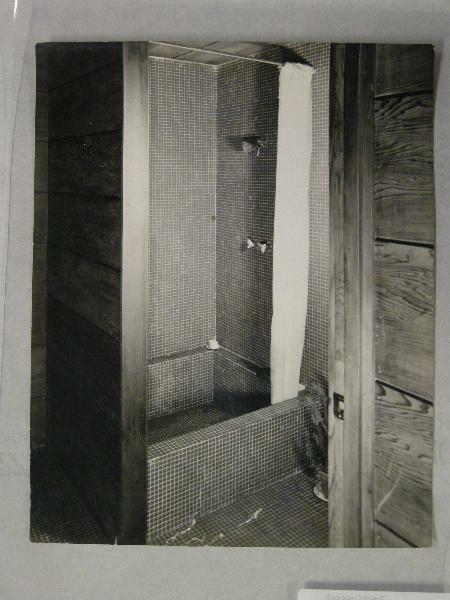 Much of the house's interior materials and finishes remain in their original state, including the unpainted face brickwork; timber wall and ceiling lining boards; internal doors; built-in furniture and open shelves; storage cupboards; kitchen cabinetry and shelves; and some of the fixtures within the bathrooms. 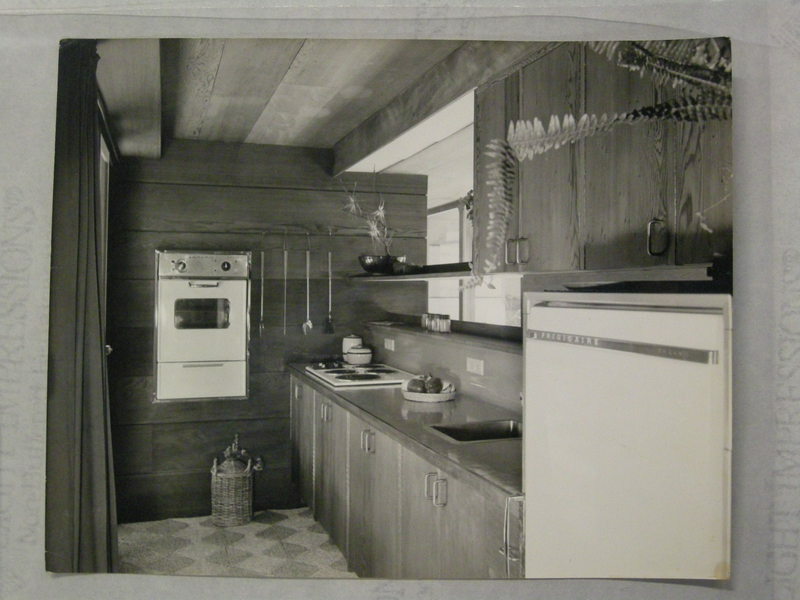 The house's original and carefully concealed ceiling-mounted fluorescent tube lighting also appears intact. 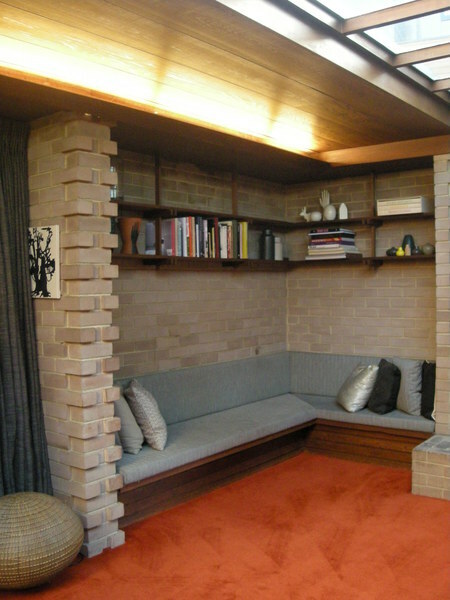 Free-standing external brick walls, including the wall along the Balcombe Road street boundary, feature courses of toothed and recessed bricks detailed similarly to those deployed within the house. The David Godsell House is located on the traditional lands of the Bunurong people. 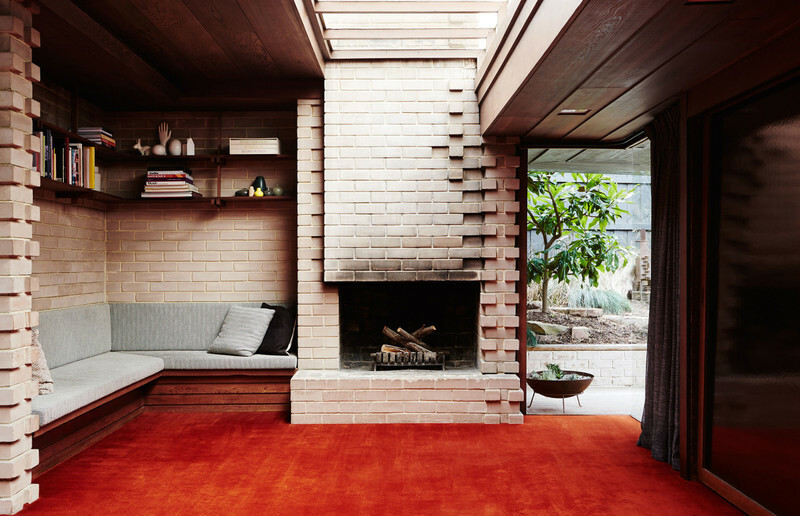 The David Godsell House is of architectural significance to the State of Victoria. All of the place shown hatched on Diagram 2379 encompassing all of Lot1on Title Plan 710912. David Brymer Godsell (1930-86) was born in Portsmouth, England. His father, Thomas Anthony Godsell, was born in Coventry in 1903, migrated to Australia as a boy, grew up in South Melbourne, joined the Royal Australian Navy as a 14 year old and during his subsequent service in the UK met and married Kathleen ('Kay') Brymer. In c.1939 Thomas and Kay Godsell left England with their family and settled in Melbourne. David Godsell gained his architectural qualifications through part-time study in engineering at the Melbourne Technical College (later RMIT) and also through the Atelier course at the University of Melbourne. He complemented this training with practical experience at ICI, Shell, the State Rivers & Water Supply Commission, and Arnold Bridge & Associates where he developed an understanding of industrial architecture. 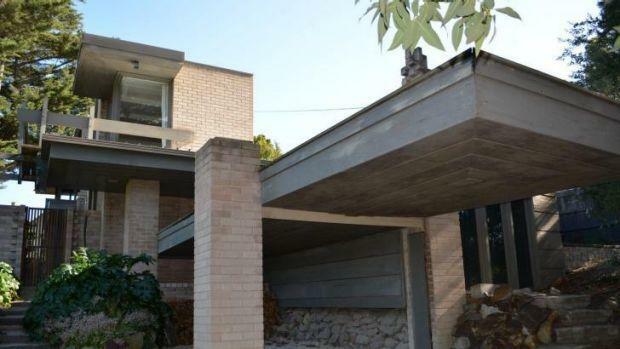 Although Godsell did not complete his University degree (having failed its perspective drawing component) he subsequently undertook and passed the Architects Registration Board's exams, qualifying him to practice as an architect in the State of Victoria. 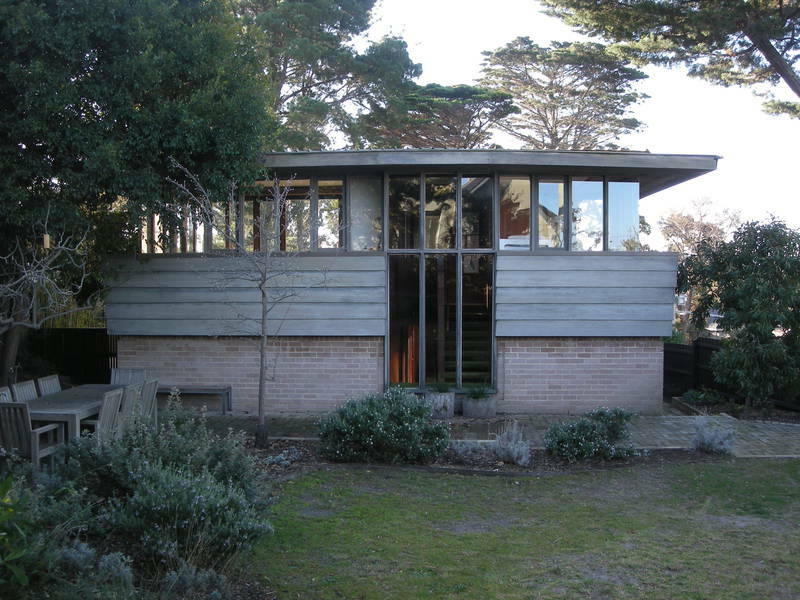 While still an architecture student Godsell first joined the office of architect Marcus Martin, and then later in 1953 when a senior student he was offered work by Guildford Bell, who at the time was a guest lecturer and reviewer at the University of Melbourne. Godsell documented important domestic commissions within Bell's practice during his approximately seven years there. 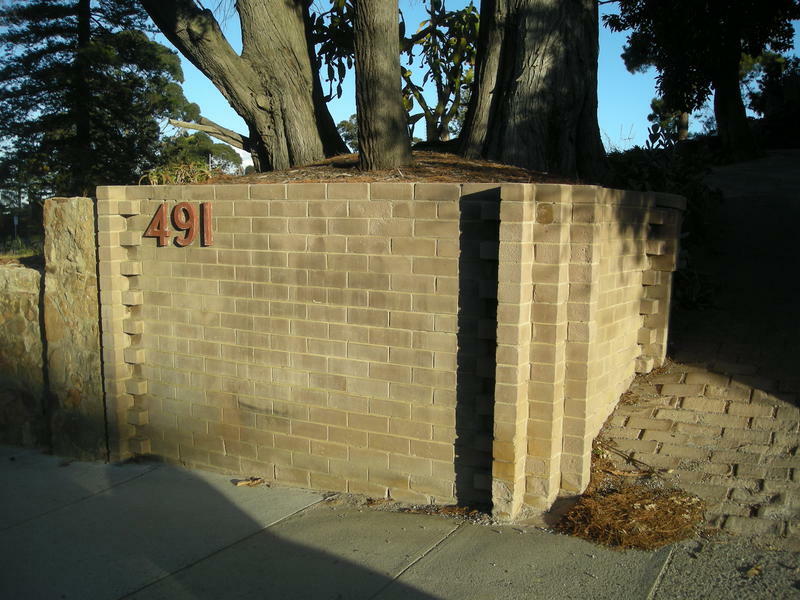 In 1960, after the successful completion of Godsell's own house in the Melbourne suburb of Beaumaris, he departed Bell's office and commenced his own private practice. 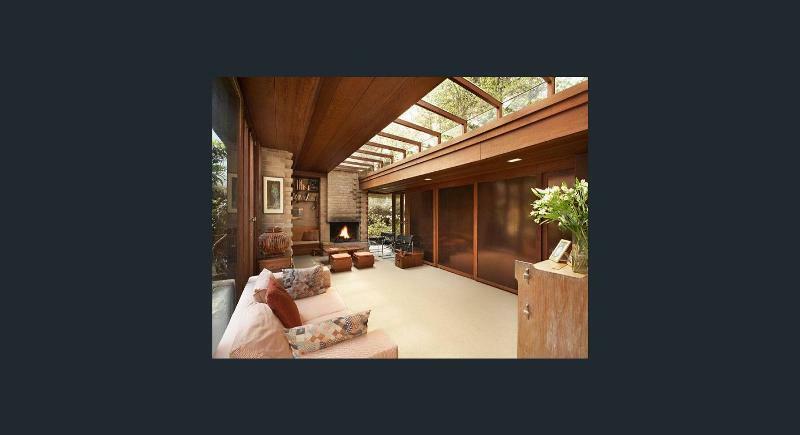 Like many other Australian architects of the 1950s and 1960s, and fellow Melbourne architects Charles Duncan and Geoffrey Woodfall in particular, David Godsell was keenly interested in the ideas of the American master architect, interior designer, writer and educator, Frank Lloyd Wright. Wright was a vigorous advocate of 'organic architecture' and he held that a truly organic methodology - to be achieved through design sympathetic and well-integrated with a building's site - was obtained when buildings, their furnishings and surroundings were all designed to form unified interrelated compositions. 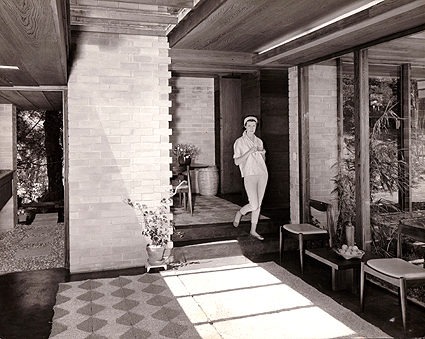 Godsell's own and arguably also organic approach to design was influenced by traditional Japanese architecture - in particular its incorporation of asymmetry and of the module of the tatami mat - as well as by Ananda K. Coomaraswamy's The Transformation of Nature in Art (1956), an examination of the ways in which patterns of nature are used in art. The quality of the drawings that David Godsell prepared to depict and document his designs also bears witness to his highly-developed mind's eye and its contribution to the richness of his architectural work. Godsell's own house at 491 Balcombe Road in Beaumaris is an excellent representative example of the realisation of the architectural principles that informed his years of practice. For some twenty five years up until his death in 1986 David Godsell worked as a sole practitioner, mainly on domestic commissions and via personal contacts. 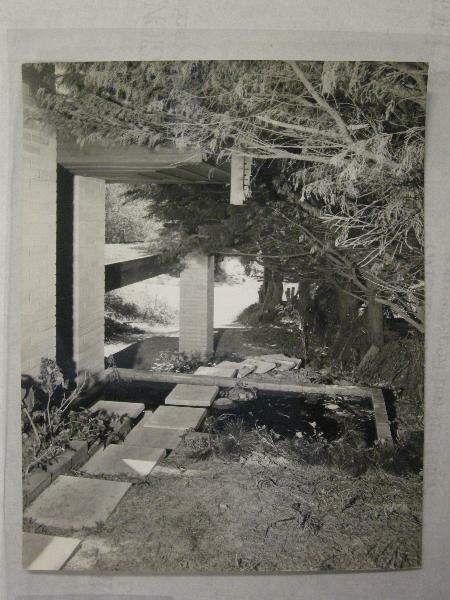 As well as several dozens of residential projects his completed designs included a combined optical lens factory and flat (1961) in Hawthorn East, the Olive Phillips Kindergarten (1974) at Beaumaris - comprising two concrete-block pavilions with pyramid roofs and a linking breezeway - and post offices at Mordialloc (1970) and Bentleigh (1972). David Godsell and his wife Ursula ('Terry') Godsell purchased the land at 491 Balcombe Road in November 1956, intending to build a house on this site for themselves and their future family. The majority of the present-day house is the realisation of the third of three different schematic designs that Godsell prepared for this site during the first half of 1960. The earliest of these designs featured lower and upper floor plans generated by triangular and diamond-shaped geometries. A second unrealised scheme was much closer in its rectilinear planning, massing and tectonic expression to the third and final scheme, upon which construction then commenced in mid-1960 and was completed in early 1961. 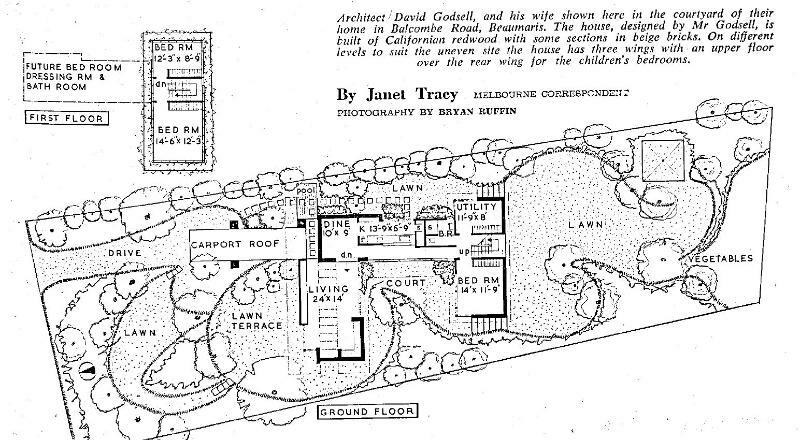 The earliest and most substantial construction stage of the David Godsell House comprised an assembly of an L-shaped plan arrangement of two single-storey wings which contained the living room, dining, kitchen and bathroom areas; a two-storey wing - adjoining the L's south end - containing three bedrooms, a utility room and a stair; a single-car carport to the north of the dining room; and lawn terraces and a partially paved courtyard space. This courtyard, nestled within the three principal wings, also preserved an existing landform 'shoulder' around which Godsell carefully configured the house's footprint. Beside the carport, a stairway of square-shaped concrete stepping stones linked the driveway to a covered path - comprising identical stepping stones, here set within pebbles - leading to the living room entry door. The house's flat roofs were originally finished with gravel over 'Malthoid' bituminous felt, insulated with Styrene foam. 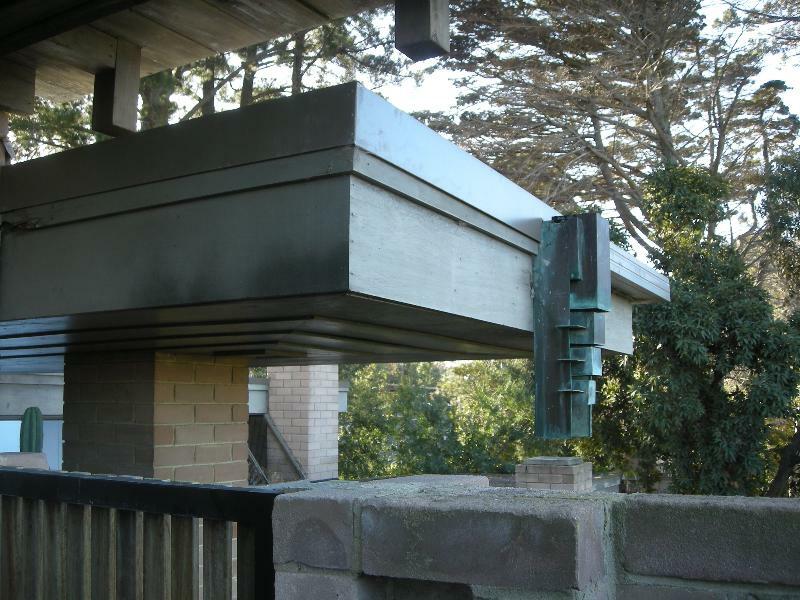 The roof planes were designed to drain rainwater from the upper-storey roof by stages all the way to the eastern end of the entry path's roof, at which point the water discharged through an ornamental rainwater head of copper into a pond crossed by the stepping stones. 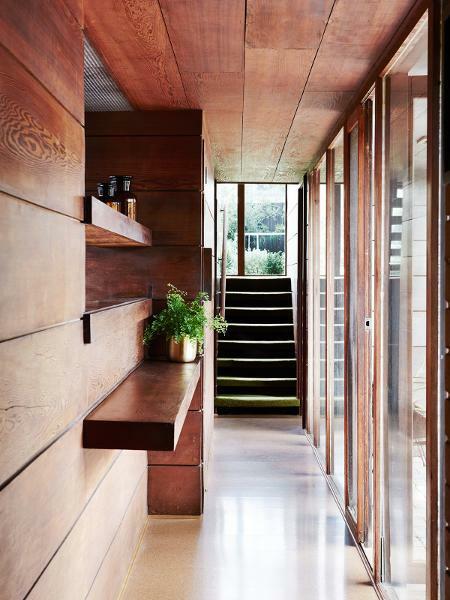 The house's ground floor concrete slabs are a chocolate-brown colour, which was achieved by the addition of a pigmented topping. This colour is currently concealed by carpet and cork floor finishes which have been laid over the slabs at different times during the years following the house's original construction. 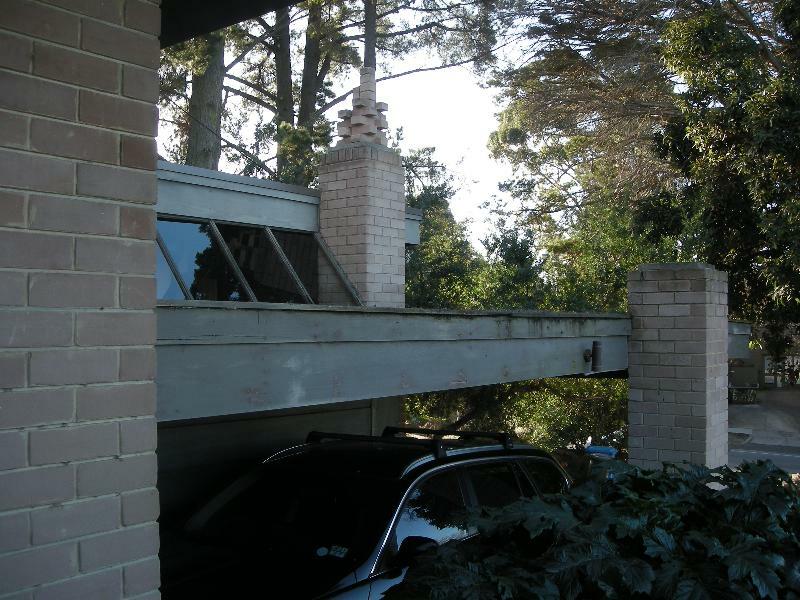 In 1966 Godsell received a building permit for the addition of a new flat-roofed rectilinear volume adjoining the west side of the house's existing carport. 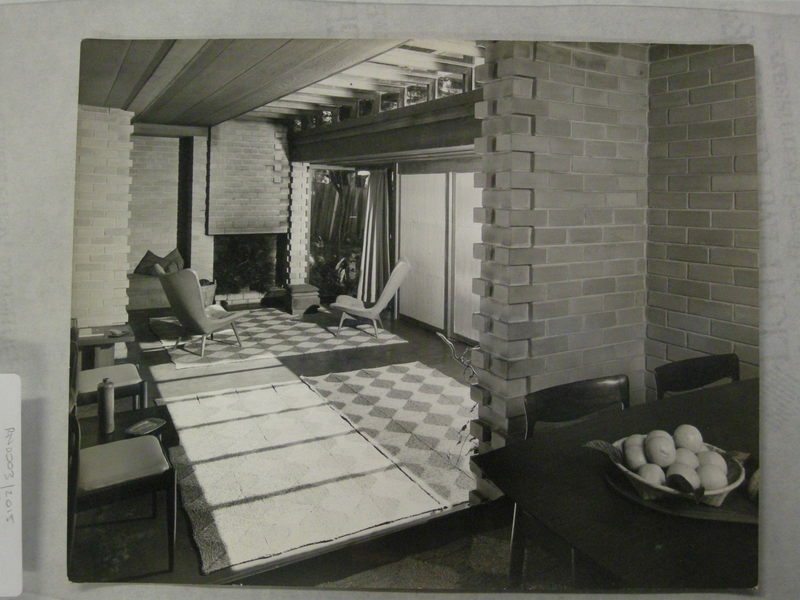 This contained a single 3.0 by 5.2m (10 by 17 foot) room - with a separate entry path and door, and internally unconnected to the rest of the house - that on its completion became the studio from which Godsell conducted his architectural practice for the next 20 years. 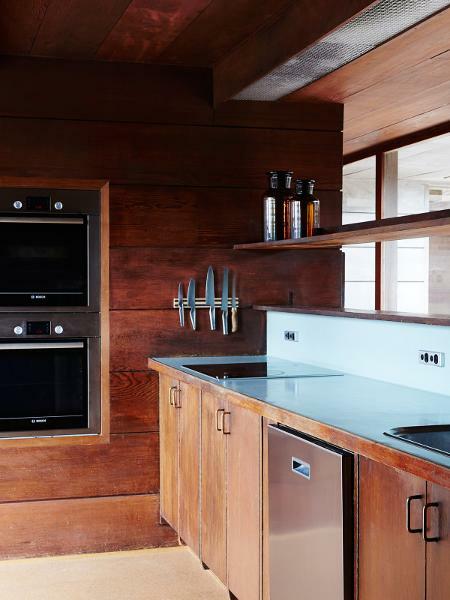 Some years after this Godsell also documented a compact addition to the house's existing kitchen and bathroom, which created a new walk-through laundry that linked these spaces. Another building permit was then granted in 1972 for an upper-storey addition above the house's dining, kitchen and bathroom areas. This addition contained a new bedroom with a cantilevering balcony in its northeast corner, and a compact second bathroom. The present-day arrangement of the house contains all of these completed works.
. c.1990 - a re-build of the carport, matching its original design and form. Some further minor changes have occurred to the original fabric at the David Godsell House since these periods of construction. The entry stepping stones, pond and pebbles have been replaced with timber railway sleeper steps and brick paving. 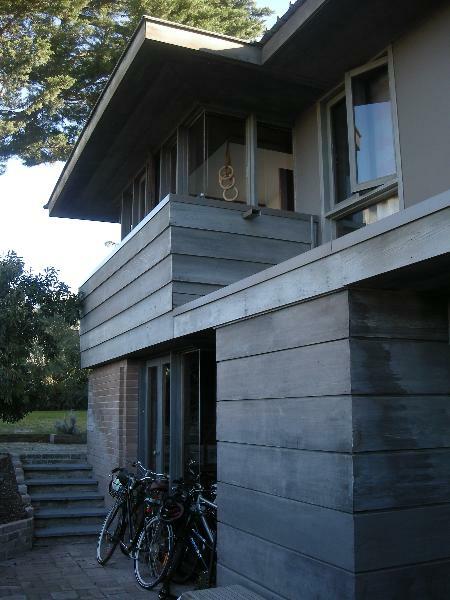 Small areas of the originally unfinished timber board cladding on the house's exterior have also been painted. Following David Godsell's death in 1986, Terry Godsell continued to live in the house until its sale to new owners in 2008. Curtis, William J. R. (1996), Modern architecture since 1900, 3rd edition, Phaidon Press Ltd: London. Frampton, Kenneth (2007), Modern Architecture a critical history, 4th edition, Thames & Hudson Ltd: London. Goad, Philip (2009), Melbourne Architecture, 2nd edition, The Watermark Press: Boorowa, N.S.W, p.185. Goad, P. J. (1992), The modern house in Melbourne, 1945-1975, PhD thesis, Faculty of Architecture Building & Planning, University of Melbourne. Godsell, Chris (son of David Godsell): personal communication August and September 2017. Godsell, Sean (son of David Godsell): personal communication August and September 2017. McMahon, Philippa (1985), David Godsell, 'Investigation project', Department of Architecture & Building, University of Melbourne. McMahon, Philippa, GODSELL, DAVID, pp.279-280 in eds Goad, Philip, & Willis, Julie, 'The Encyclopedia of Australian Architecture' (2012), Cambridge University Press: Port Melbourne. Modern Houses: A guide to residential architecture in and around Melbourne (1964 pamphlet), compiled by the Small Homes Service of the Royal Victorian Institute of Architects in conjunction with The Age. File No: FN B5112; 9 pages total. Njoo, Alex Haw Gie (2008), Organic Architecture: Its Origin, Development and Impact on Mid 20th Century Melbourne Architecture, M. Arch thesis, School of Architecture and Design, RMIT University. RMIT Design Archives, Accession Lot 0004/2015, 'Collection: David Godsell (1930-1986), architect', Box Nos 1, 2, 3, 4, 6, 9, 10, 11, 12 and 13. Survey of Post-War Built Heritage in Victoria: Stage One (October 2008), prepared for Heritage Victoria by heritage Alliance conservation architects and heritage consultants, 'Godsell House' in Group 027 Residential Buildings (Private), citation identification 027-121, in Volume 2: Citations, p.163. Wille, Peter (Oct 1969), Wright and the Chicago School Influence on Australian Architecture, unpublished. Wright, Frank Lloyd (1954), The Natural House, Horizon Press: New York. by Janet Tracy, pp.40, 41 & 74. The Herald, 17 August 1962, Built on steep site, by Harry Perrot, p.23.
. The process of gardening, including mowing, hedge clipping, bedding displays, disease and weed control, and maintenance to care for existing plants.
. Works associated with the management of possums and vermin.
. Removal or lopping of trees where there is a risk of personal injury or damage to property.
. Removal, or maintenance and repair of existing paving and other hard landscaping elements, like for like.
. Removal, or maintenance, repair and replacement of existing fences and gates, like for like.
. Removal of extraneous items such as air conditioners, pipe work, ducting, wiring, antennae and aerials.
. Installation or repair of damp-proofing by either injection method or grouted pocket method.
. Painting of previously painted surfaces provided that preparation or painting does not remove evidence of the original paint or other decorative scheme.
. Removal of paint from originally unpainted or oiled joinery, doors, architraves, skirtings and decorative strapping by non-abrasive methods.
. Refurbishment of existing bathrooms including removal or replacement of non-original sanitary fixtures and associated piping, mirrors, wall and floor coverings.
. Removal of tiling in wet areas provided there is no damage to or alteration of original structure or fabric.
. Installation, removal or replacement of electrical wiring provided that all new wiring is fully concealed and any original light switches, pull cords, push buttons or power outlets are retained in-situ. The extent of registration of the David Godsell House in the Victorian Heritage Register affects the whole place shown on Diagram 2379 including the land, the residence and studio (including the exterior and interiors), street boundary brick walls, other exterior brick walls, landscape elements and other features. Under the Heritage Act 1995 a person must not remove or demolish, damage or despoil, develop or alter or excavate, relocate or disturb the position of any part of a registered place or object without approval. It is acknowledged, however, that alterations and other works may be required to keep places and objects in good repair and adapt them for use into the future. If works are proposed which have the potential to disturb or have an impact on Aboriginal cultural heritage it is necessary to contact Aboriginal Victoria to ascertain any requirements under the Aboriginal Heritage Act 2006 . If any Aboriginal cultural heritage is discovered or exposed at any time it is necessary to immediately contact Aboriginal Victoria to ascertain requirements under the Aboriginal Heritage Act 2006. 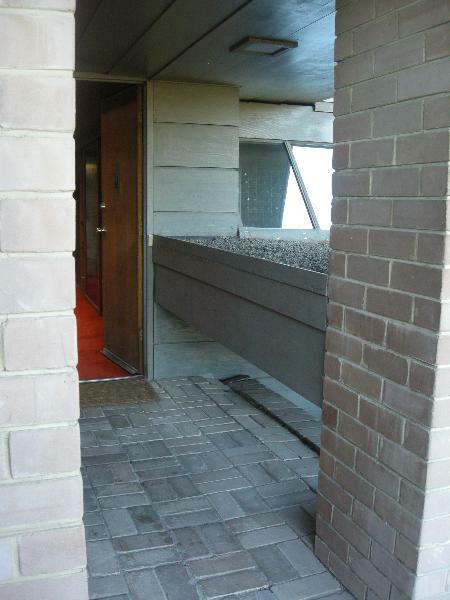 The cultural heritage significance of the David Godsell House lies in all of the place at 491 Balcombe Road, including the 1960-61 building and its c.1966 and c.1972 additions, and elements associated with those periods of construction including the street boundary brick walls, other exterior brick walls, landscape elements and other features, and fixtures attached to the building including the wall and ceiling linings, light fittings, copper rainwater head, built-in furniture, cupboards, cabinets and shelves.